and I STILL get tripped up reading a bass line that’s scored in the treble clef. WHY THE HELL DO YOU DO THAT, MUSIC-WRITER-DOWNER PEOPLE? IT’S STUPID. AND DUMB. AND STUPID. 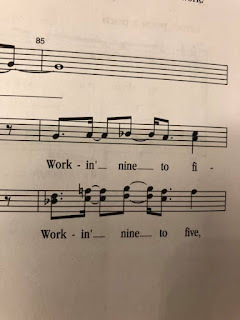 That said, read this bass line in G-major treble clef—WHERE IT’S STILL WICKED-FREAKING HIGH—and you’ll have my favorite belty four-count phrase in all of 9 to 5. 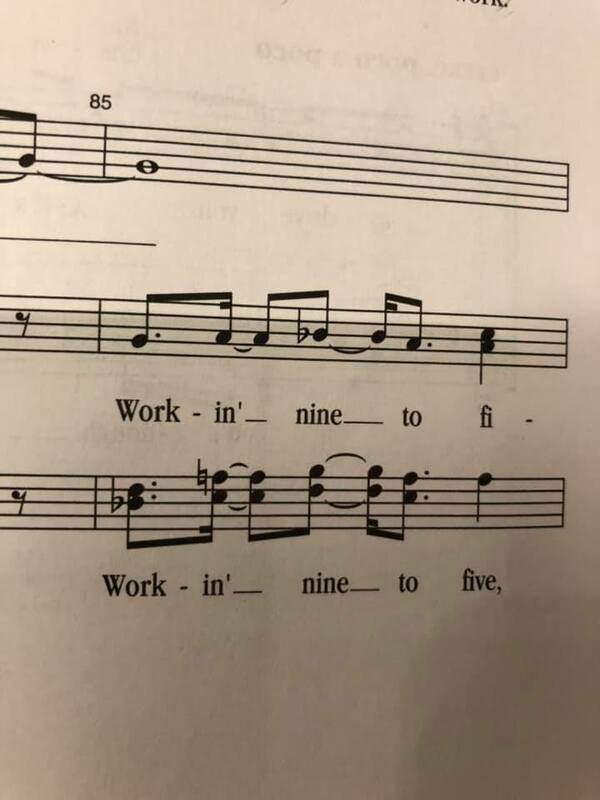 After one week of rehearsals, at least.